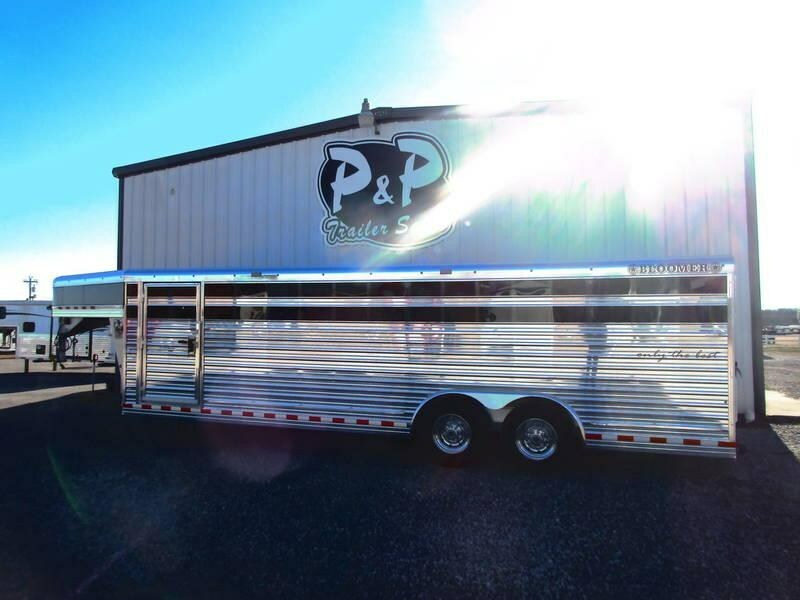 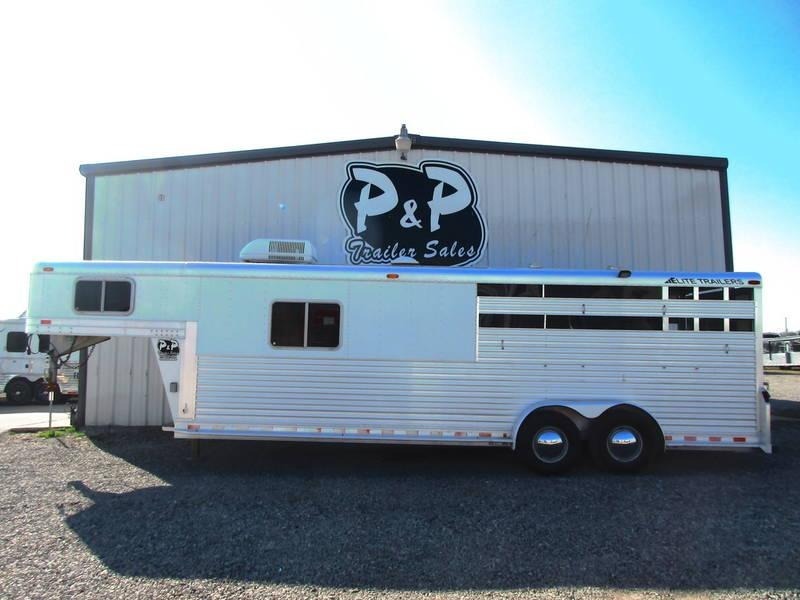 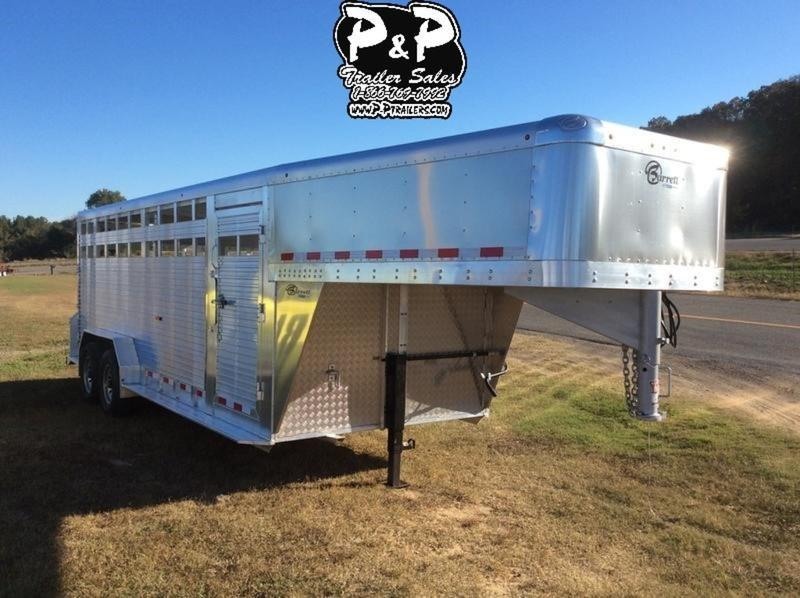 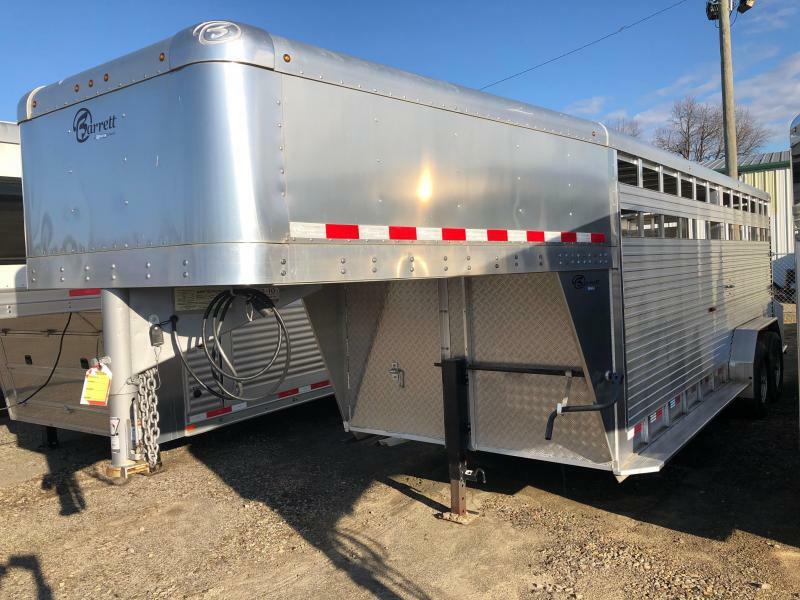 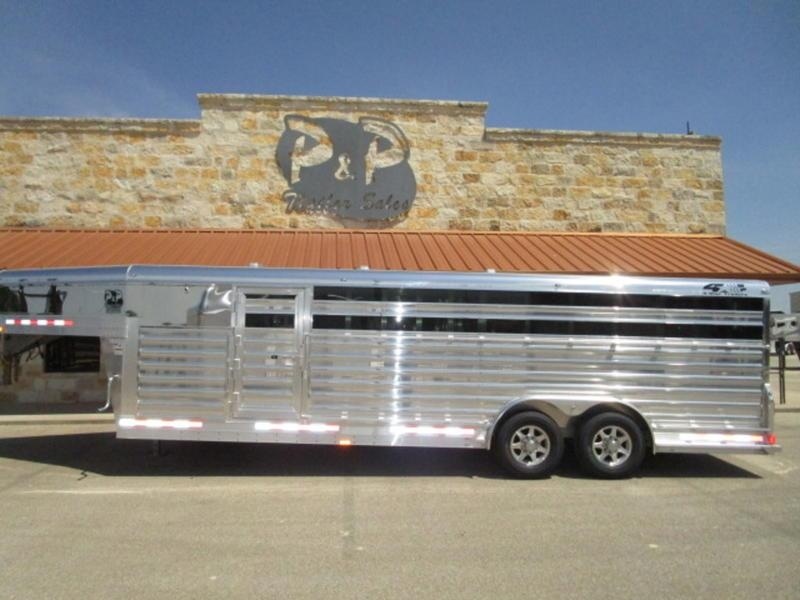 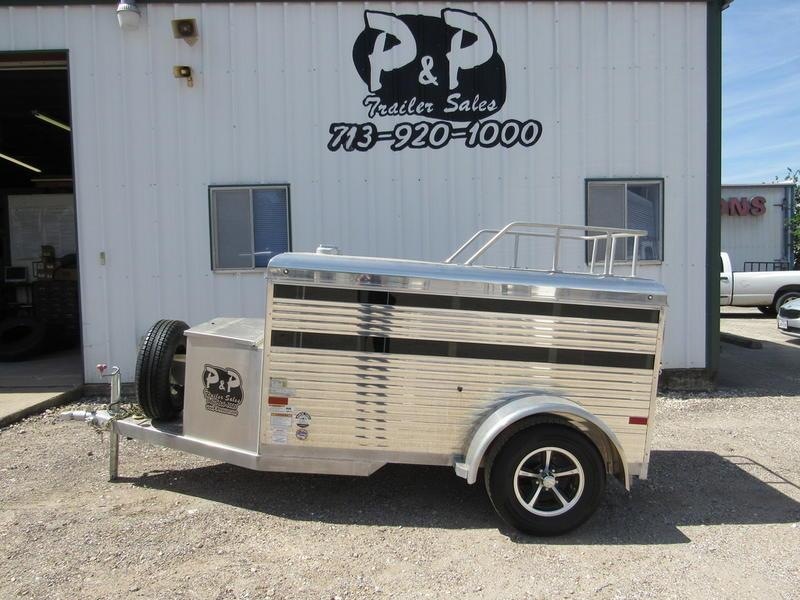 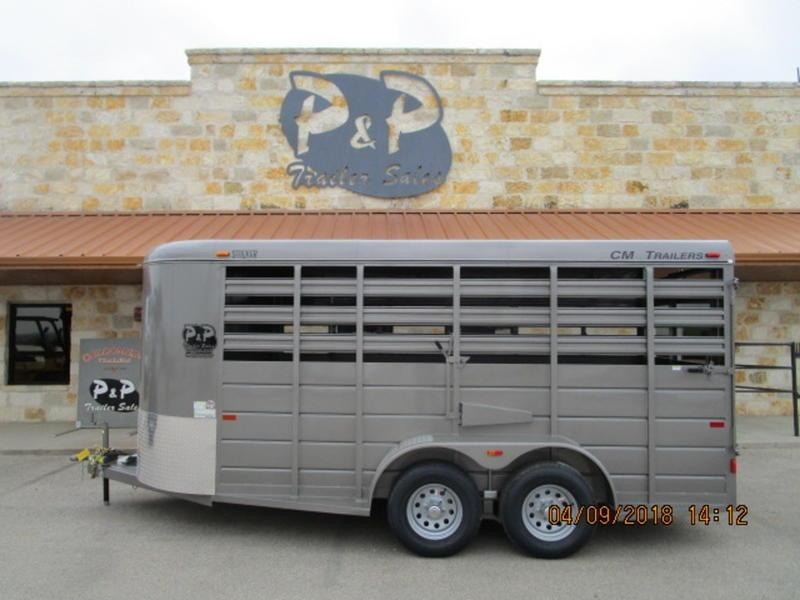 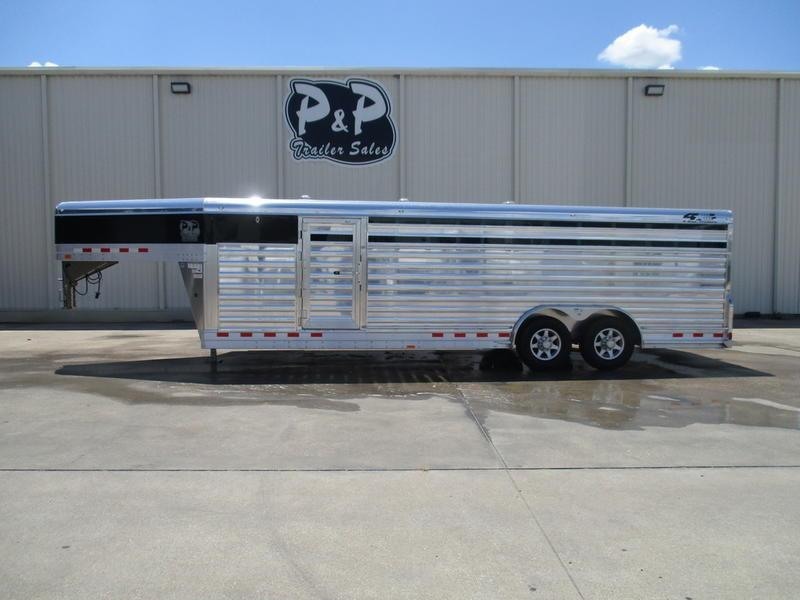 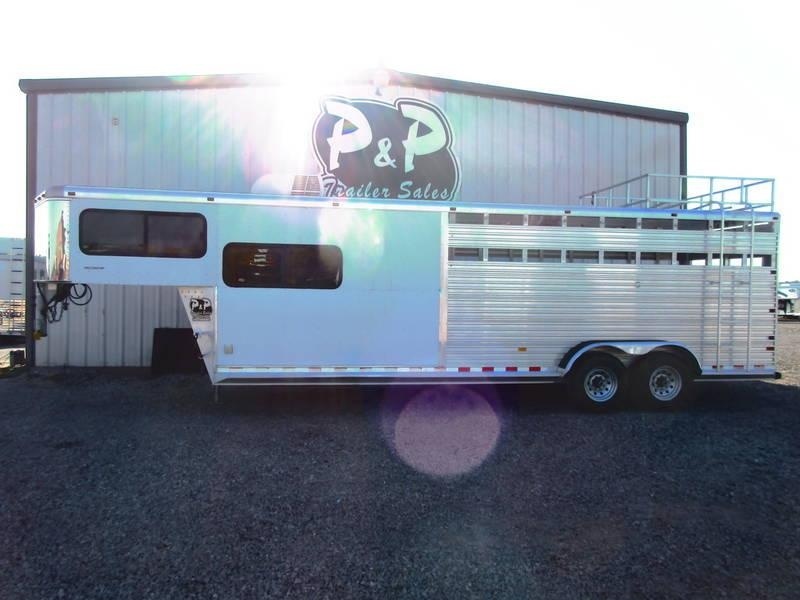 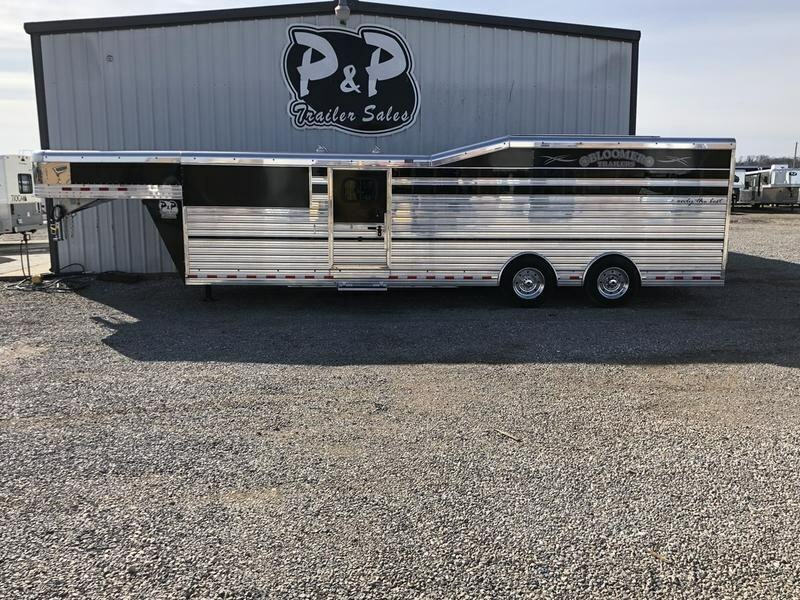 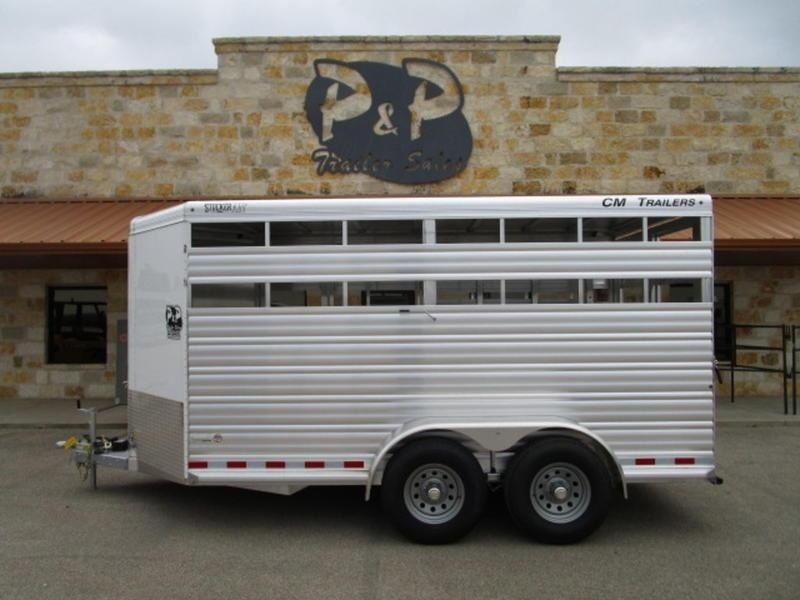 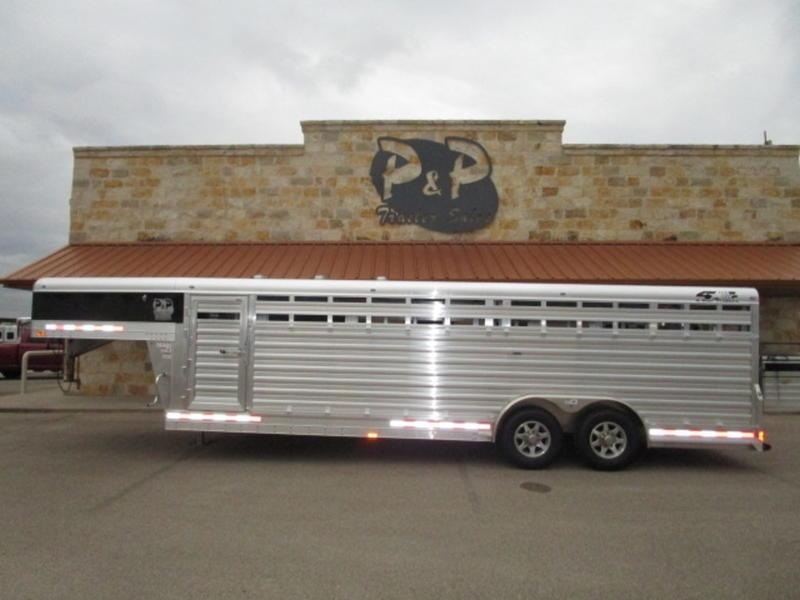 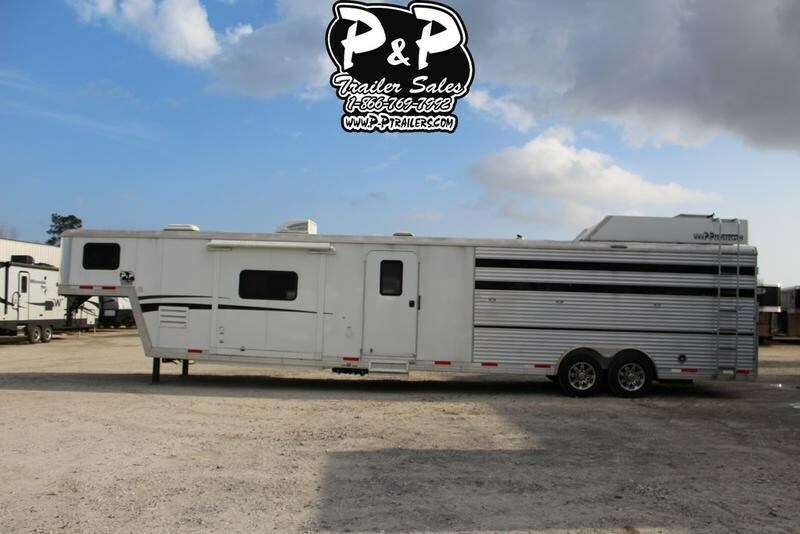 Our line of aluminum, gooseneck livestock trailers offers easy pulling and an appealing look, as well as the legendary durability that Barrett Trailers is known for. 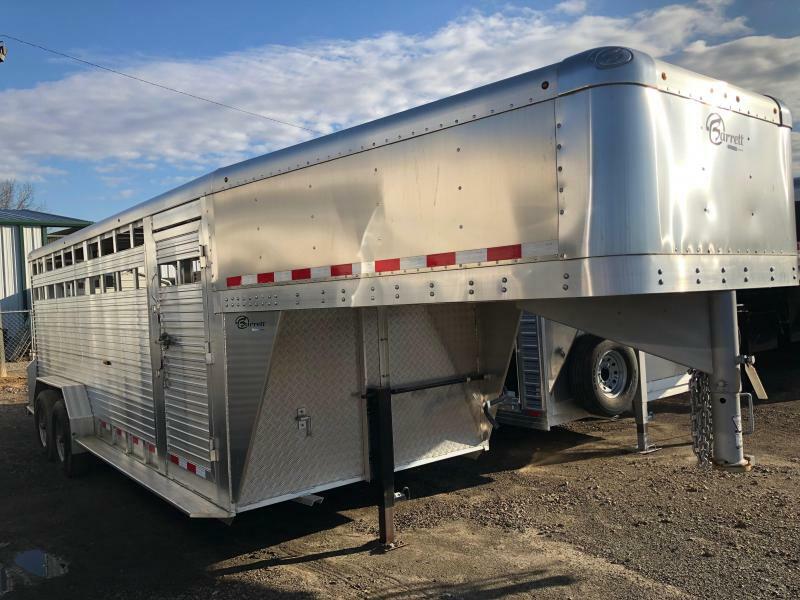 Dependability and quality are among the many benefits that come with any Barrett gooseneck livestock trailer, and now we have a 10-year structural warranty to back it up. 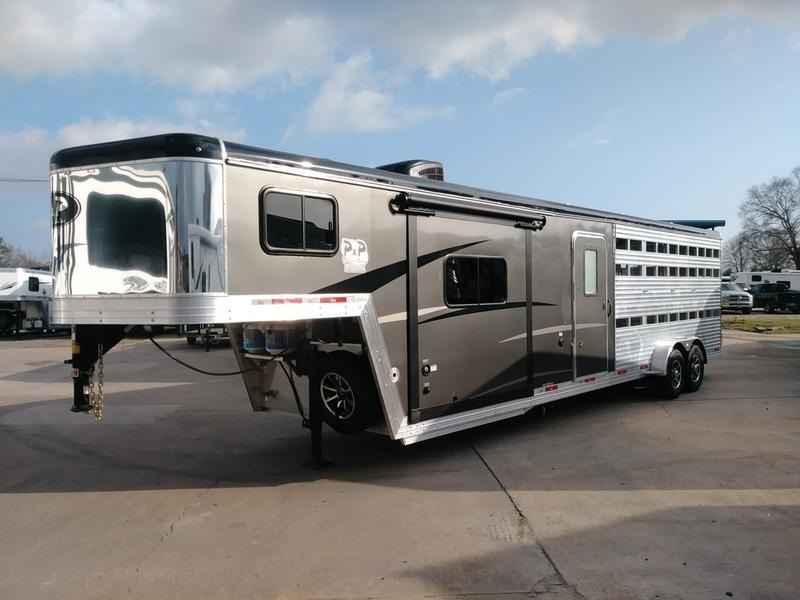 Every Barrett Trailer comes standard with our 5-bar aluminum tread plate floor. 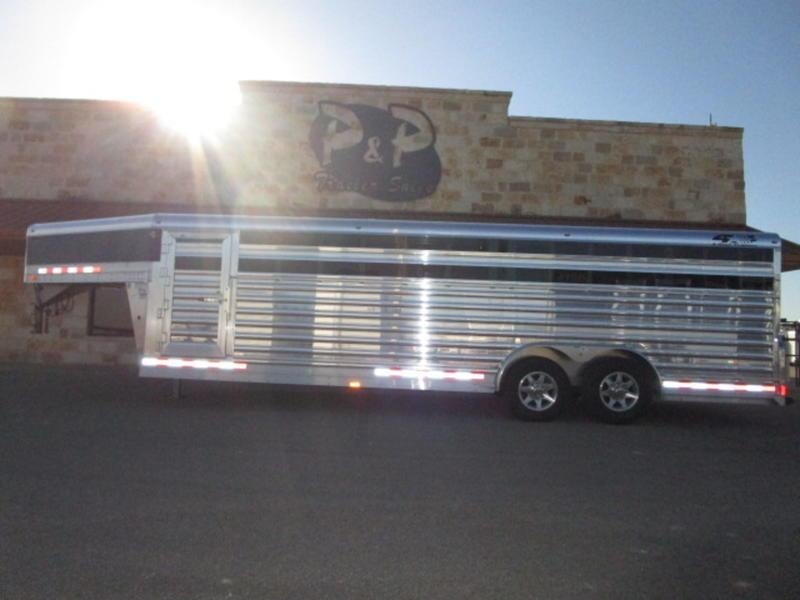 This floor is the best floor in the industry and we have been using it for over 25 years. 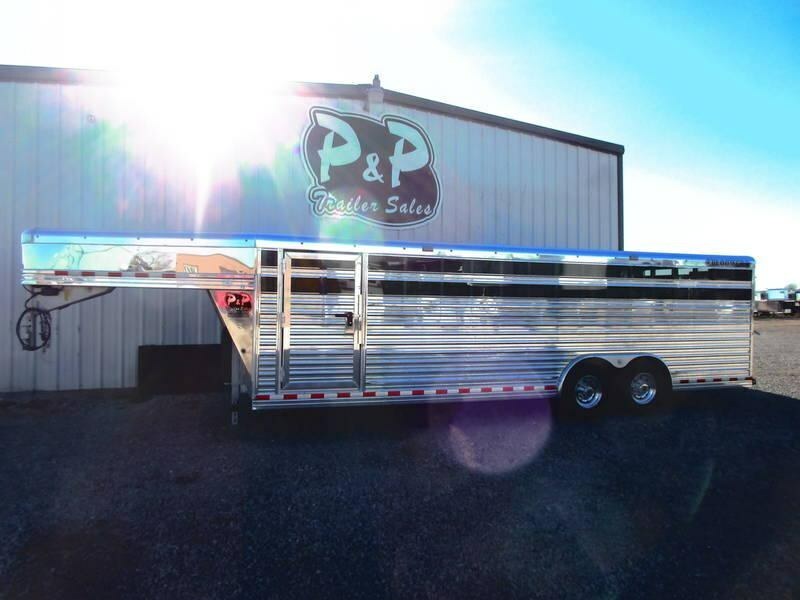 Ensure that you are transporting your livestock with confidence and security in mind. 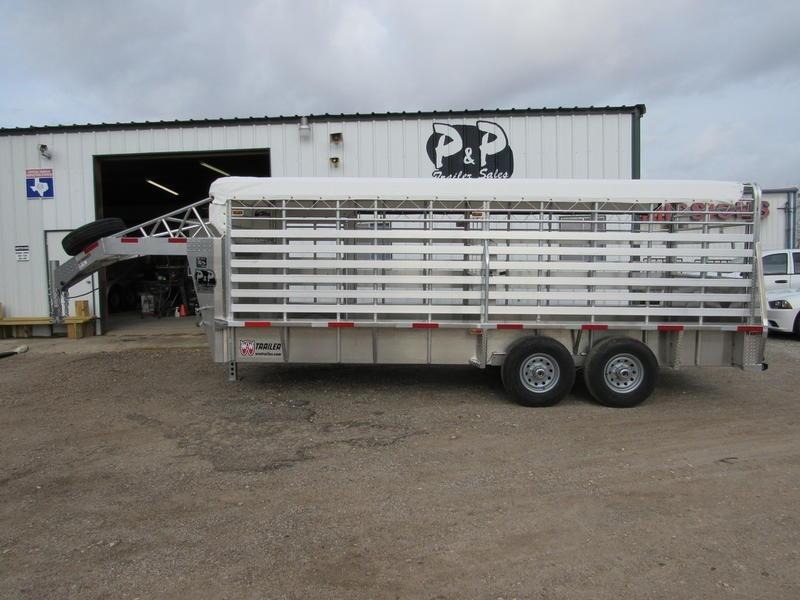 No matter what your need or capacity, we have a full line of gooseneck livestock trailers that will meet your needs. 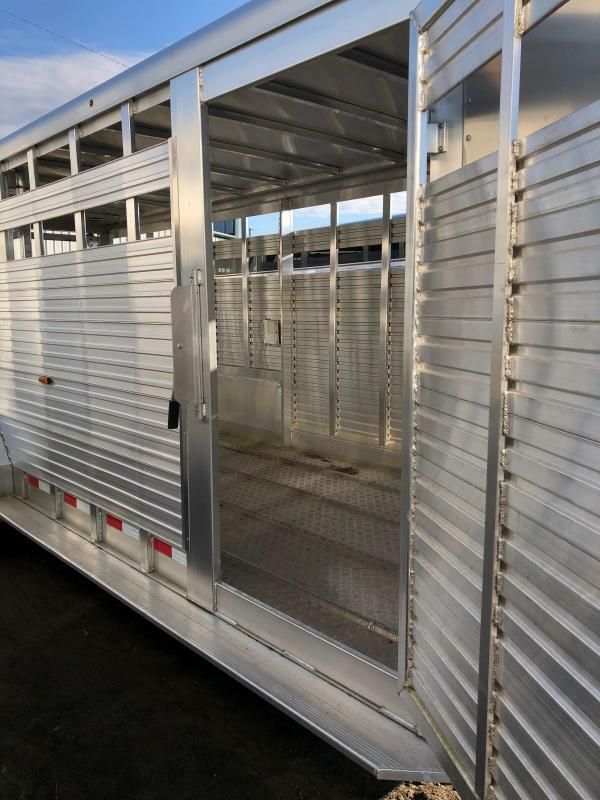 Find out more below or contact us with any questions. 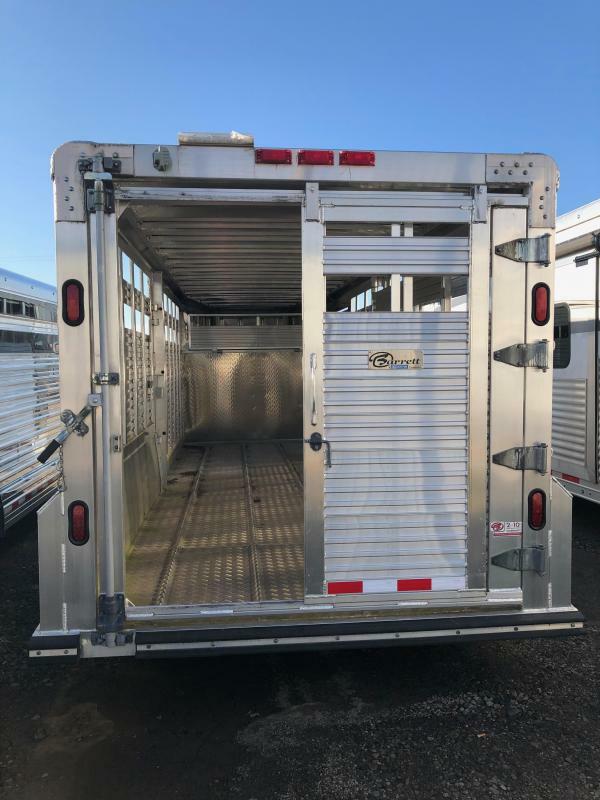 **Construction**- Trailer lengths at 20'-0", 24'-0", 30'-0" and 32'-0"